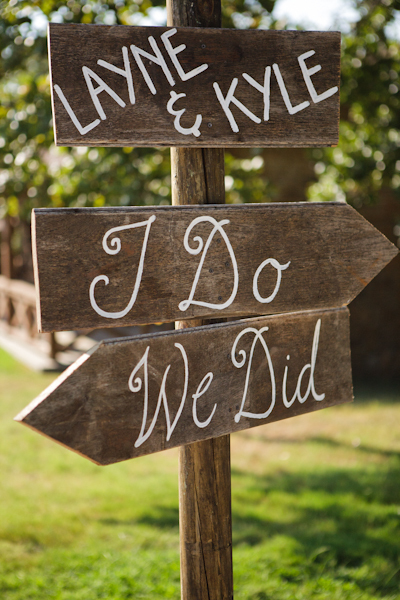 If you have a lot of different things going on at your wedding in multiple places, directional signs are a cuuuute way to show guests around. And even if they’re not for direction, signs in general can be pretty adorable. 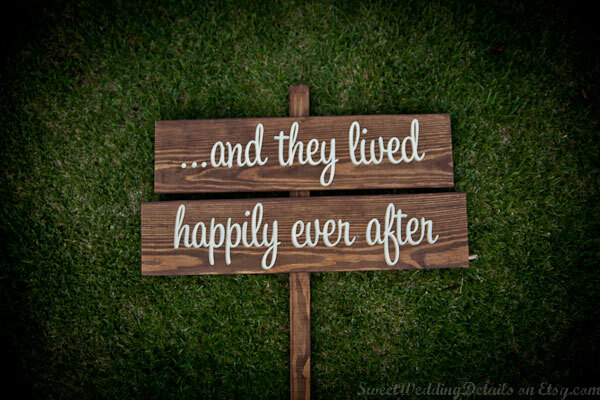 How were ‘”I DO” THEY VOWED’ signs made? 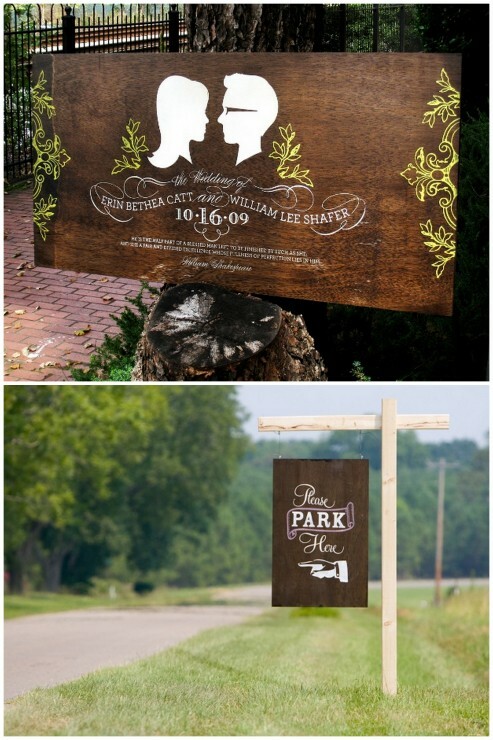 I love them and would love to include something like that in my wedding! Hi! 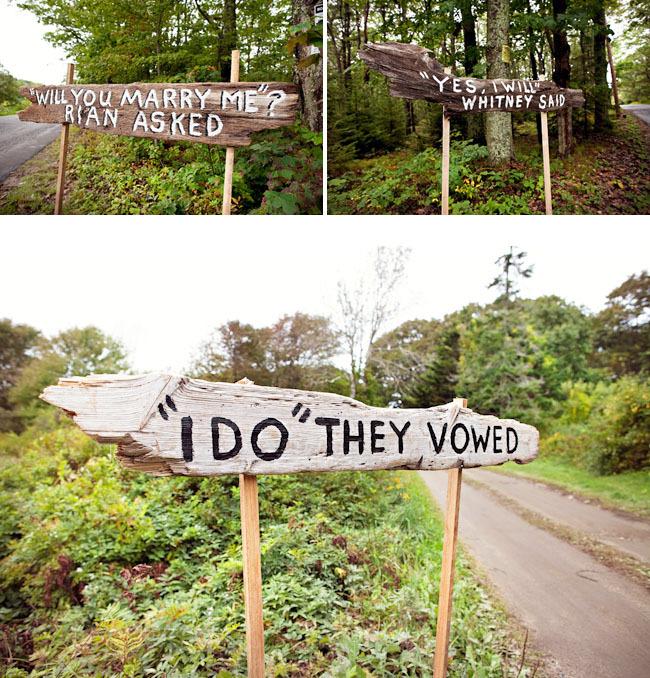 From the original post of the signs (http://greenweddingshoes.com/maine-seaside-wedding-whitney-rian/), it says they made them themselves on driftwood – super cute, right? I love them!